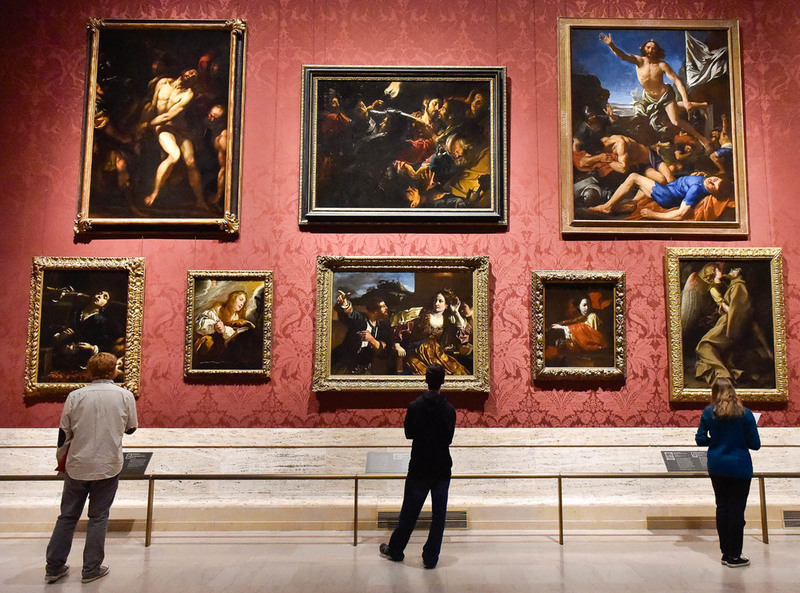 Students from Medford High School view artwork in the William I. Koch Gallery at the Museum of Fine Arts in Boston during a tour to teach the students how to become tour guides for the museum. This was a fun assignment. It's not everyday I get to do the job I love as well as view historic pieces of art. As students were allowed to wander around one of the galleries I was able to freely move around and take candid photographs. I was able to take a few frames of this scene before people moved and the symmetry of the image was interrupted.